Cunliffe carved out her own spot in the history of the Arcadia, one of the most competitive meets in the country with more than 4,000 competitors, setting a national high-school outdoor record with a vault of 14 feet, 8 inches. The record vault came after she sprained her right ankle after hitting the bar on a missed jumped. The Arcadia has been billed as “Home of National Records,” and Cunliffe became the 26th national record holder out of the event. She broke the record, set in 2015 by future Olympian Lexi (Weeks) Jacobus, by half an inch. 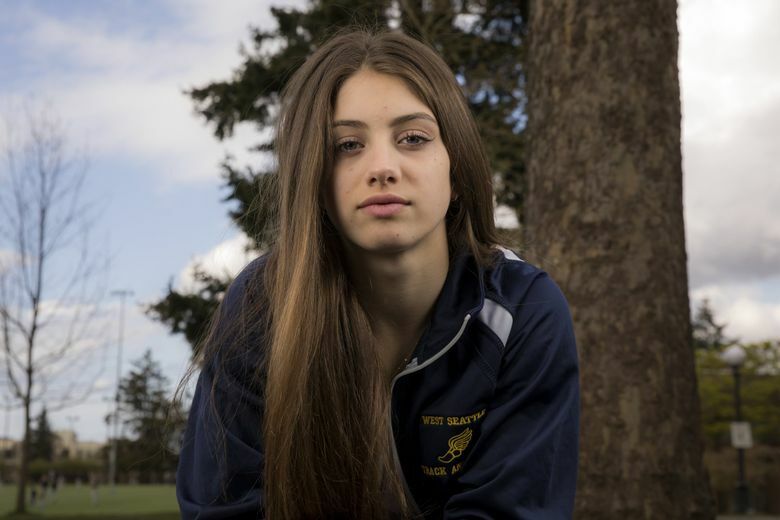 The Washington State University signee, still eligible for junior nationals, qualified for the U.S. Track & Field Championships on July 25-28 at Drake University in Des Moines, Iowa. Cunliffe hails from a family of athletes, including older siblings, Hannah, and Sam. Hannah set the NCAA women’s record for the 60-meter dash (7.07) while running for the University of Oregon and now runs professionally for Adidas. Sam, a former basketball star at Bishop Blanchet and Rainier Beach, sat out 2018-19 basketball season to become eligible for the University of Evansville (Ind.) next season after seasons with Arizona State and Kansas. Chloe took seventh at junior nationals in the long jump at age 10, but that event wasn’t exciting enough. Cunliffe went from clearing 9-6 on her first competitive event June 22, 2016 for Northwest Pole Vault Club to eclipsing 13 feet in less than two years. At the state meet last year, she broke the state record and won by clearing 13-8 1/2. It has been combining the skills of a competitive gymnast with her sprinting and jumping skills that have vaulted her to the top of the nation. On March 17, Cunliffe put up a national high-school indoor record of 14 feet, 9.25 inches at the Pacific Lutheran University All Comers meet. She was recovering from a sprained wrist when she put up that mark. Cunliffe plans on adding the 100 meters and long jump later this season as it should help her build on her foundation for the pole vault. She competed in those events as a sophomore and junior for the Wildcats.